Here you will find a selection of our trusted partners. We rely on them to deliver our products and services with confident to you as our client. 23 video is our partner on video cms solution. We sell their products and can help with consultancy on implementation and testing. 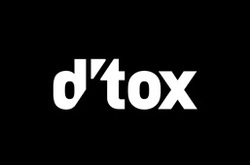 d´tox is our partner for high end motion design and production. Specializing in film, broadcast and commercial / advertising industries, they engage directly with our clients in creating diverse and versatile visual solutions to their branding or marketing needs. They create unique projects and experiences in film, animation and motion design. 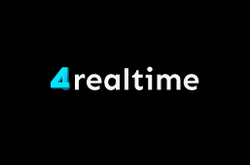 4realtime bring ideas into reality! As a studio focused on realtime 3D graphic design they offer a wide range of services which are all aimed at fulfilling the client’s business objectives. We work together with them on graphic systems and user interactive solutions for the event space. 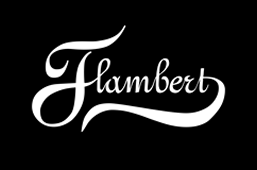 Flambert has complete post product services and facilities with fully equipped offline, sound / recording studio and online suites with grading, compositing / VFX and 3D capabilities. Their two flame artist have combined 40 years experience and their sound designer has wide experience as a composer and sound designer. They offer everything from voice casting to sound design and music. Their booking system ensures control of the media and your projects and will be handled in the best way and all their suites are designed for screening with clients. Webcast.no is our main partner for live webcast. 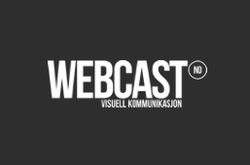 Webcast.no has one of the most experienced team for live webcast services in Norway. 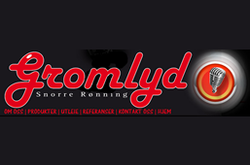 Gromlyd is our partner for sound and event services. They deliver PA systems for any size of event, and large screens and projectors. We provide the content for the screens sometimes together with their staff and sometimes alone. 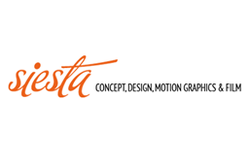 Siesta is our trusted partner for larger film projects and animations. They have successfully been in this space for many years and we are happy to have them on board. 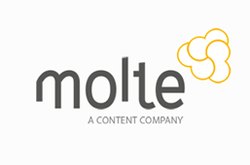 Molte is a partner for content production. 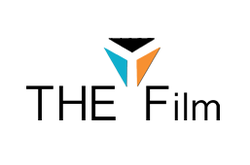 The FIlm is a production partner specialising in production and photo services for commercials, corporate communication videos and music videos. This is done from idea to finished product either in corporation with agencies or directly with the clients. The history is always in focus, followed by a nice visual wrapping. With 12 million views on youtube on Norwegian music videos they have proven to understand viral video. 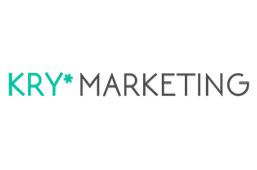 Kry Marketing is a Digital Marketing Agency located in Oslo. The Kry Marketing team is young and not afraid of challenging the existing ways of doing marketing. They focus on simplifying digital marketing and our goal is high measurable effect. If you want to generate web traffic & visitors, convert visitors to customers, retarget potential customers, and maintain & develop healthy customer relationships, they can help.